The new STAAR exams for high school students in Texas have got a lot of students worried, and rightly so. If you’re currently enrolled in a Texas high school, you have no doubt already heard some rumors (and some horror stories) about these new tests. You’ve been told that there are a dozen tests you have to pass. You’ve heard that each test can take hours to finish. People are saying that your test scores will have an impact on your final grade in your high school courses. You’ve heard from many people, students and educators, that the tests are more difficult to pass than the old TAKS tests. Well, you heard right. Everything above is true, and then some. You will have to pass a dozen tests in order to earn a high school diploma, and each test can take several hours to complete, and your score will account for fifteen percent of your final grade in the course, and the tests are much harder than the old TAKS exams. Well, there’s certainly reason to be concerned, but there is no reason to be scared. Because we can help you pass the tests and get your high school diploma. Before we explore that, let’s look at some important background information about the STAAR tests. Years ago, parents and legislators across America became concerned that many students were being promoted and allowed to graduate without actually learning very much. In response, states began requiring students to pass a variety of tests, in order to demonstrate that they had acquired a certain amount of knowledge, before they could receive a high school diploma. In Texas, there have been several different versions of these tests. The early version was known as Texas Educational Assessment of Minimum Skills, or TEAMS. Then it turned into Texas Assessment of Academic Skills, or TAAS. That was replaced by Texas Assessment of Knowledge and Skills, or TAKS. 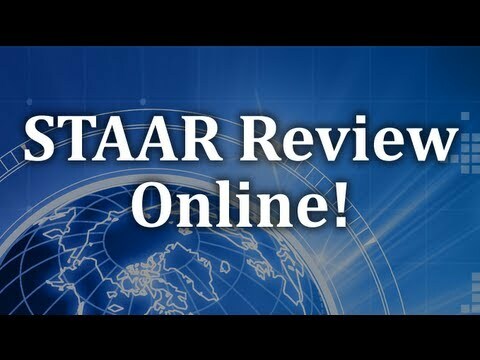 Now TAKS is being phased out and replaced with STAAR, which stands for State of Texas Assessments of Academic Readiness. Several changes have been made. For one thing, there are now a dozen different tests high school students are required to take. In English, the tests are English I, English II, and English III. In science, the tests are Biology, Chemistry, and Physics. The math tests are Algebra I, Geometry, and Algebra II. The science test subjects are World Geography, World History, and American History. All three tests in each subject must be passed to receive a passing score in that subject, and the final score will count toward a student’s grade. Another thing to keep in mind is the reason Texas decided to get rid of TAKS and come up with a new system. They did so because people were complaining that the TAKS tests were too easy, and weren’t getting the job done. In other words, the new system of tests is going to be a lot harder to pass than the old system, making it that much hard to earn a high school diploma. This is certainly cause for concern. Fortunately, though, you don’t need to be scared of the exams. Because on this website you’ll find the help you need in order to pass the exams and get your diploma. You’ll learn about each one of the twelve different exams, what each one is about, when it’s given, the material you’ll need to know to pass it, the number of questions on the test and the format, etc. Best of all, we’ll give you a lot of free test questions you can take to get an idea of where you stand. When you know your weak areas, you can concentrate on those in the days and weeks before taking the test, giving you plenty of time to study so you wind up passing the test. We can’t stress enough how important it is to spend adequate time on test prep for the STAAR exams. Did you know that a high school diploma can mean the difference between living well, and a life of poverty? It’s true. These days, it’s nearly impossible to land a decent, good paying job without a diploma. If you doubt this, just go to any job listing website, or the job section in your local classified ads, and see what’s available for a person without a high school diploma. Good luck, because you’re going to need it. You’ll find it’s slim pickings, indeed. In fact, in most cases, there won’t be a single job opening listed that doesn’t require an applicant to have a high school diploma. Of course, to get the really good jobs, you’ll need a degree from a college or a trade school, which is pretty much impossible to get without a high school diploma. Sure, you can theoretically go back and get a GED one day, but if you don’t pass the STAAR exams there’s no reason to believe you’ll pass the GED. So it’s important not to underestimate these tests. They won’t be easy to pass, but by using our free guides and free test questions, you’ll get the information and practice you need to relax and face the tests with confidence. 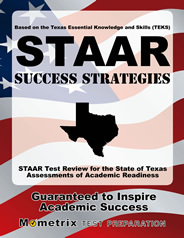 Ace the STAAR test using our STAAR exam study guide with practice questions. 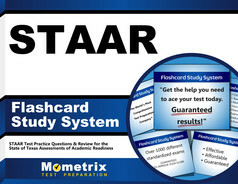 Quickly Solve Difficult STAAR Test Questions with the STAAR Flashcard Study System.